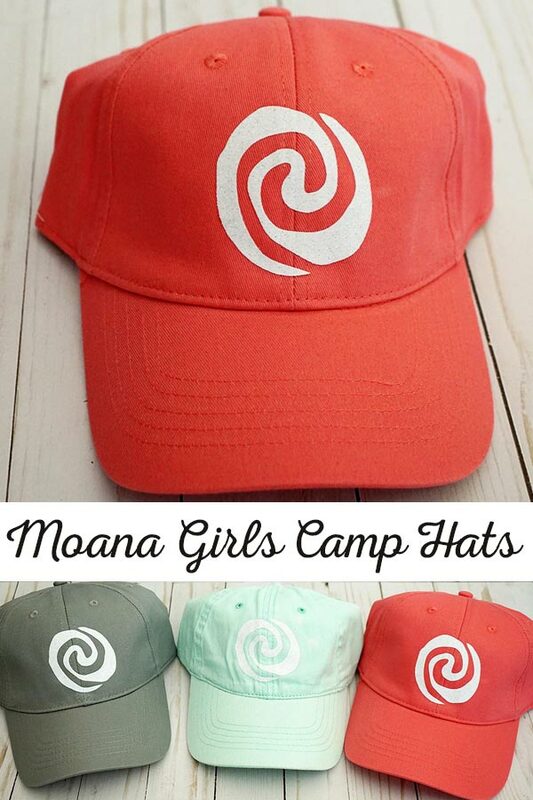 To stay within our Girls Camp budget we nixed the usual camp shirts and instead opted for hats we picked up for a few dollars a piece and made our own Moana Themed Girls Camp Hats. I love a camp t-shirt as much as the next person (maybe a little more actually!) but knew our budget was getting tight. 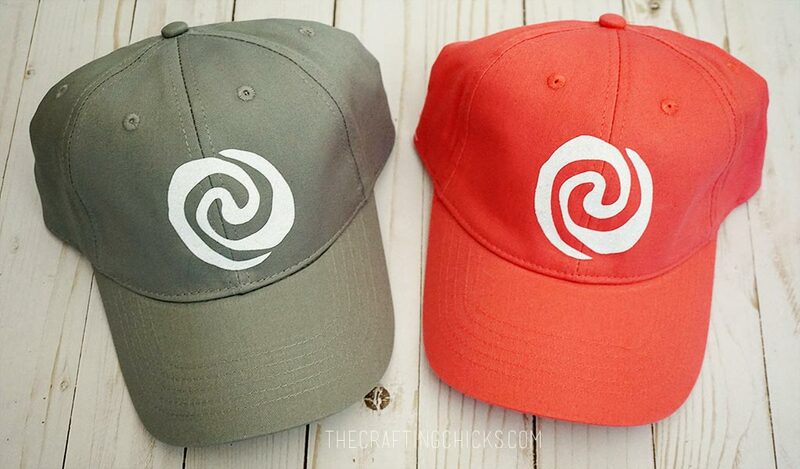 We found these solid colored hats at Wal-Mart for about $3 a piece. 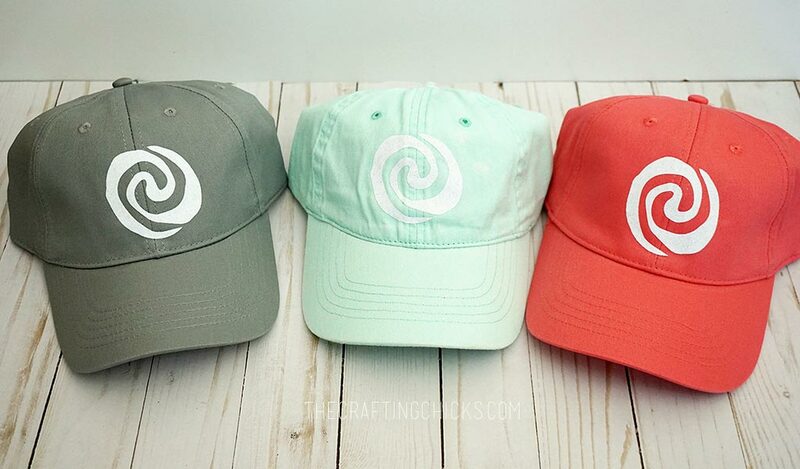 We weren’t able to find enough hats in the same colors, so we went with these 3 colors and let everyone choose their own hat color. It took a few trips to a few Wal-Marts to collect enough, but it was totally worth it. 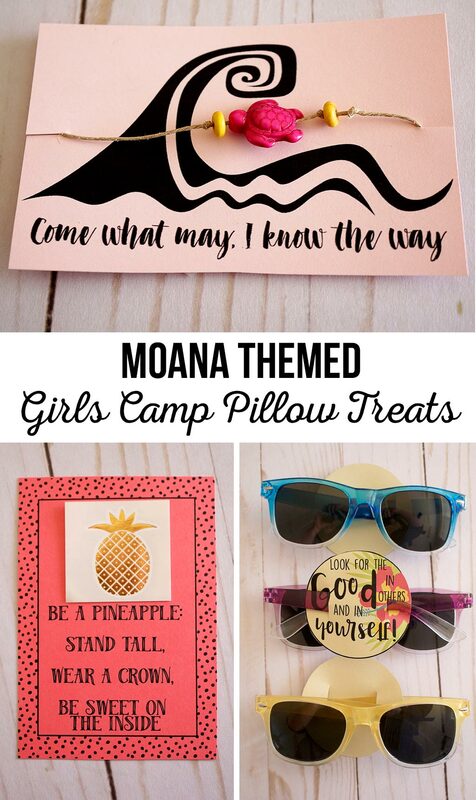 To keep with our Moana Girls Camp theme we cut the Heart of Te Fiti out of white glitter iron-on vinyl using a Cricut Explore Air 2. 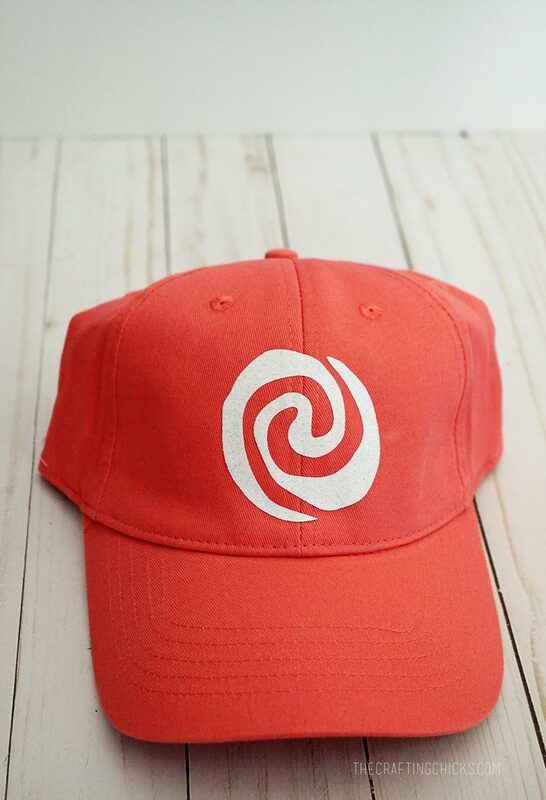 The girls and leaders loved the hats – especially since we had a head lice scare at camp. Girls were able to keep their hair pulled back and covered and the lice isolated. I love these pillow treats! Do you know where you bought the round beads for the turtle bracelets? I found them at Michaels!